Nobody goes there anymore—it’s too crowded. Perhaps that’s how Yogi Berra might describe Mailbox, the iPhone app for making simple work of your Gmail inbox. After first launching with an at-times massive waiting list, Mailbox is now open to all users with no waiting at all. The app aims to make email management easier, with easy swipes to control your inbox, and a system for snoozing messages until later. The team behind Mailbox—now owned by Dropbox—initially instituted the reservation system because the company wanted to ensure that the email app never went offline. Now, the company says in a blog post, it’s successfully scaled its servers to deliver more than 100 million messages per day, and the reservation queue is no longer needed. 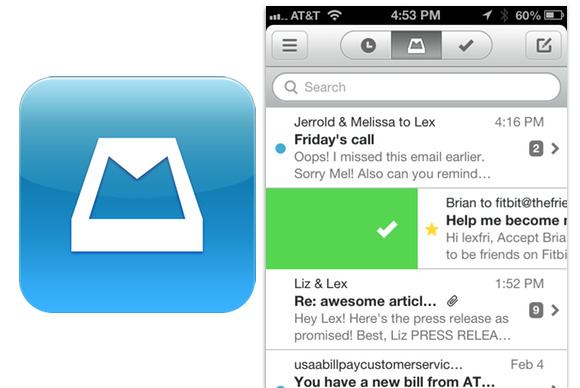 Mailbox is free and requires iOS 6.0 or later, an iPhone, and a Gmail account.